Home / Uncategorized / WE NEED YOUR HELP!! Over the past few years our project has grown from strength to strength and we now have two boys, Tobi and Emmanuel, that have graduated to Assistant Director level. This means they are responsible for teaching the rest of the kids in the community and supporting our Musical Director. 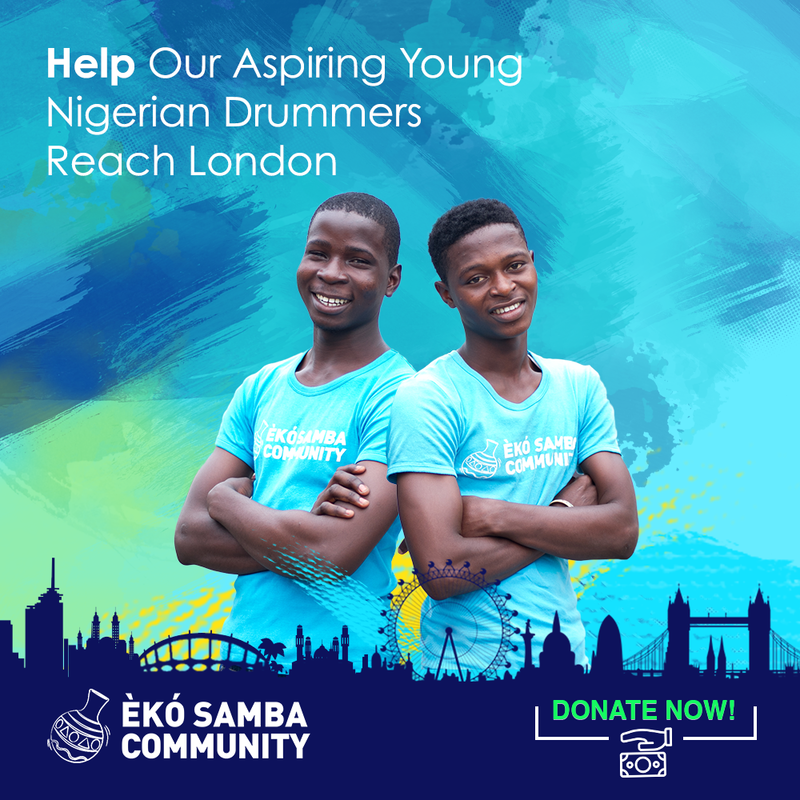 As part of this progress, we want to bring them to London this August to experience playing with prestigious UK based Samba Schools, to take part in an international carnival, to develop their directing skills and to give them an experience of a lifetime. Neither of them have ever left Nigeria before. Please visit our donation page and give whatever you can afford to help make this dream a reality. We will all be truly grateful!! Please also share our campaign with anybody who you think might be inspired by what we are trying to achieve. ← Èkó Samba Community on tour!